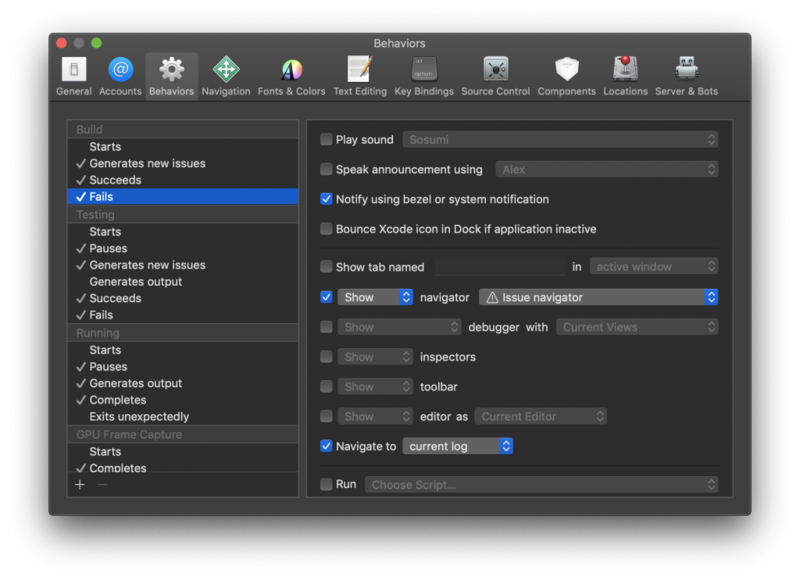 Xcode behaviors can change the way how Xcode responds to certain events. 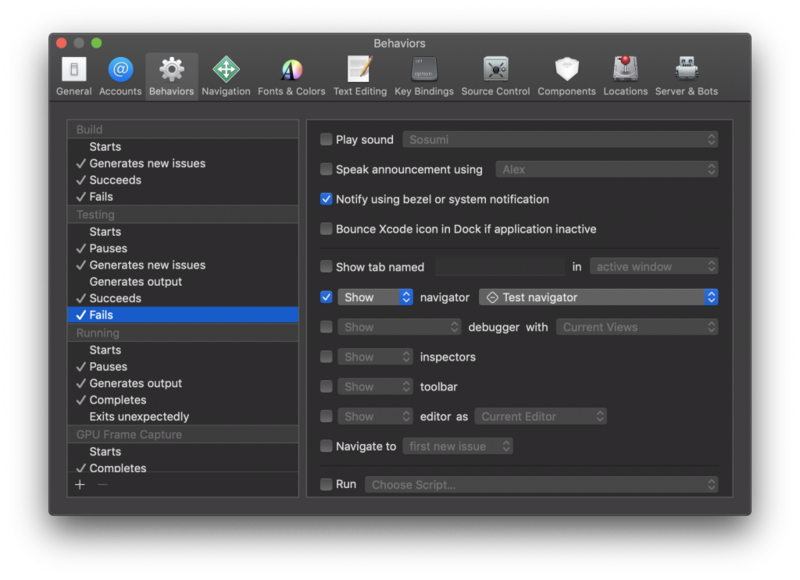 Default behaviors help you already by showing for example the debug navigator when hitting a breakpoint, but they can speed you up a lot more. A list of behaviors which are not enabled by default. 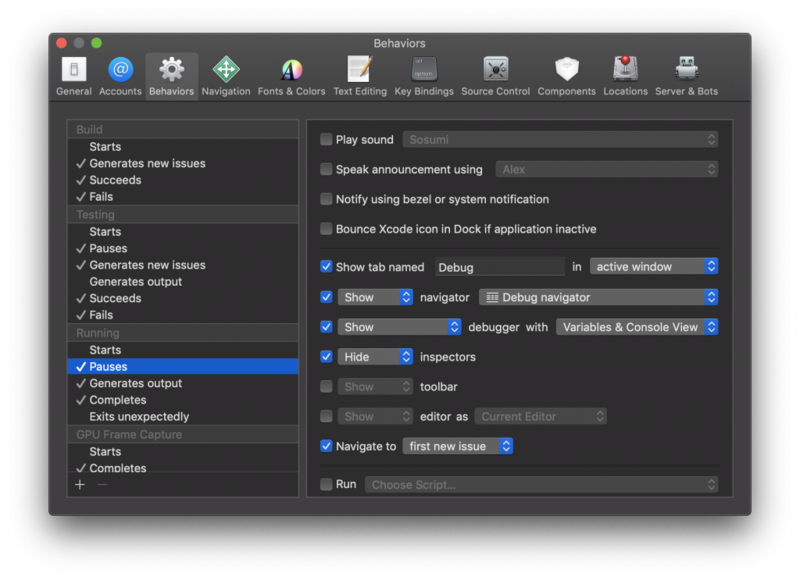 Starting point is the behaviors tab which can be found in Xcode preferences which can be opened by cmd + , or using the Xcode -> Preferences menu. Surprisingly, but true. The issue navigator by default does not open when a build fails. Result of this is that you navigate to the issue navigator yourself to see what is wrong. By navigating to the current log you can even quickly filter on errors only to see what is wrong. When a test fails, you want to navigate to that test and run it again when you’ve fixed it. Starting point for navigating to the failing test is the Test Navigator. You’re writing your code and running your app to test your feature. A breakpoint or issue appears and you’re suddenly in a different file which is not always what you were waiting for. By opening a new tab when your running app pauses you can simply finish your debug session and return to your working file by closing the tab. You can do exactly the same for when your app pauses for tests. 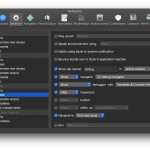 Xcode offers a lot more to speed up your workflow. You can read more articles in the workflow category or check out my talk on Speeding up as an iOS Developer.